Buy your Collect Teables Here:Click here. Start your collection of The TeaBook’s exclusive line of fine teas stored inside artistically drawn limited run tea wrappers: Collect Teables. With Collect Teables, you can fill The TeaBook with such unique – and fun – varieties as Shakespearmint (mint tea) and AgathaChrisTea (earl grey tea). Can you find the hidden references to the author's works in the below pictures? Tweet @TheTeaBook or share your findings on Twitter. Every couple of months a new themed series of Collect Teables will be released, such as musicians, philosophers, politicians, or even animals. 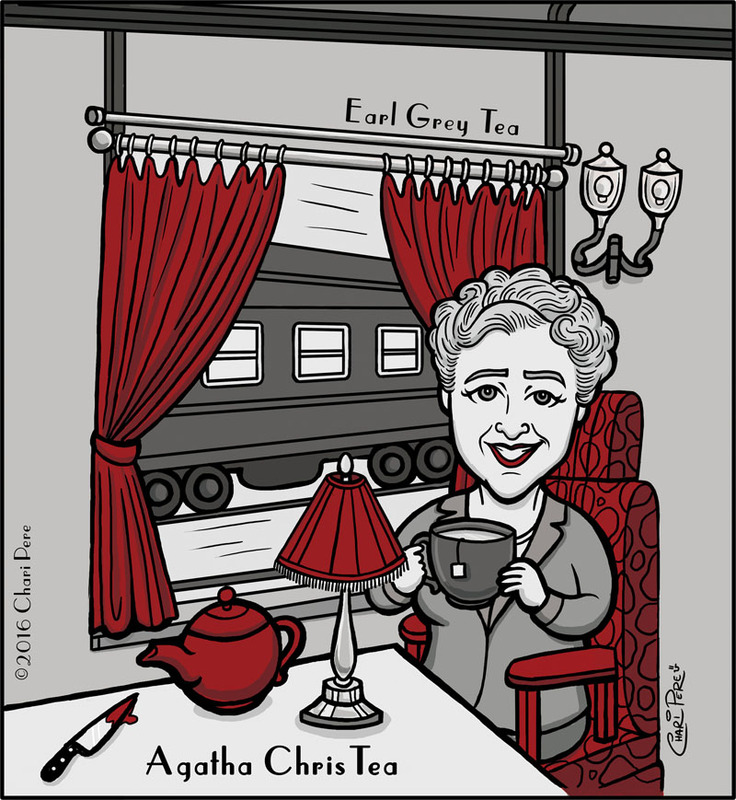 Each series of teas is drawn by a different artists in their unique style. The teas make great gifts and fit perfectly in The TeaBook – a revolutionary way to store, share and serve tea. With Collect Teables, your tea foils will never be boring. 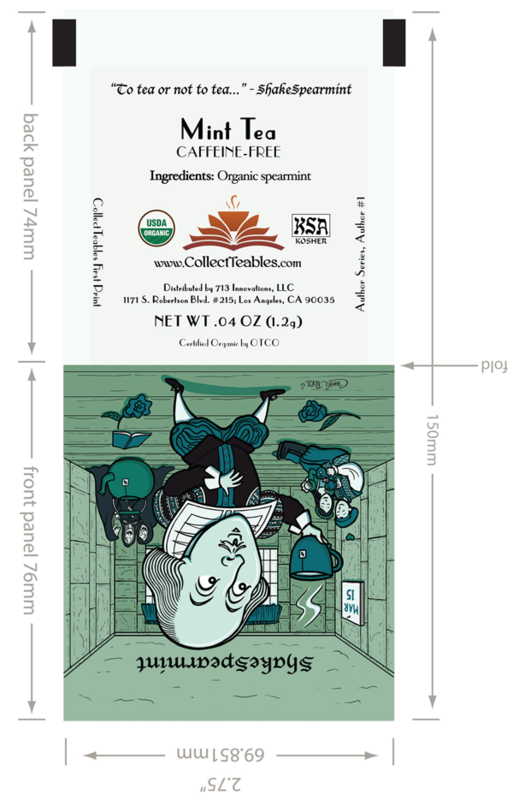 The front of each Tea Wrapper will contain only the title and type of tea contained inside, and the artists signature. The reverse of each tea foil contains a fun and slightly modified quote related to the tea. Want to see other authors such as a Mark Twainquility (Chamomile) and CervanTeas (Chai)? We need your help to make it possible. TeaBook Teas can be bought here. Enter your email address to the right and we'll send you updates and coupons for The TeaBook and our Teas. The TeaBook is zero waste companies. All Collect Teables are shipped box-less to reduce waste in shipping and packaging. Pre-Order Collect Teables NOW and your tea will never be boring again.